Curious About “Greening” Your Mail? Manage Ink: When designing your mailpiece, choose fewer colors and less ink coverage/usage. This reduces chemicals used during the printing process. Think TransPromo: Create a document that combines transactional printing (think statement or invoice) with a marketing piece – all in one document and one envelope. In fact, USPS will have a 2015 promotion encouraging the use of TransPromo marketing. Paper Usage: Use a smaller font and/or decrease the margins in order to keep to a single page document. Can’t do it? Default to printing both sides (duplex). Going duplex can save you up to 50% on paper costs while serving the environment as well. Sourcing Paper: Choose paper stocks that come from managed forests. The Sustainable Forest Initiative (SFI) certification supports responsible forestry; forests are audited for best practices and must meet strict guidelines. As well, this sends a clear message to your customers that you care about forests. Utilize Print on Demand: This concept has been around for years and centers on printing only what you need/when you need it. This eliminates waste caused by document obsolescence. As well, you could select a printer at or near your point of consumption, reducing or eliminating transportation costs. Mailing Lists: Updating your mailing list may be a challenge, but the cost savings and environmental impact is significant. It is estimated that 15% – 20% of individuals and businesses move each year. Reduce waste and eliminate the printing and postage costs of mail that is non-deliverable. 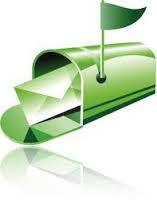 Has your organization implemented green initiatives in their mailing practices? What outcomes did you experience? We’d love to hear your stories! Often I am asked by novice direct mailers what elements to include on their mail piece. They are simply looking to design the best mailer possible to yield a high ROI. Make sure your list, mail piece and message are all targeted to the correct audience. What is your goal – lead generation, customer retention, a new product roll out? A clear, provocative call to action and a nice incentive. A First Class mail permit. Don’t skimp on standard mail postage. 10% of your mailing list may never receive the mail piece and you’d be surprised how many people simply disregard any piece of mail with a standard permit. Add a PURL, or Personalized URL. This will tie your printed piece with an online experience. Make sure the PURL ties in with your theme. As long as we’re adding hot new technology with that PURL, let’s add a QR, or Quick Response, code. You’ve probably been seeing a lot of QR codes on all kinds or marketing – from billboards to pizza boxes. We’ll talk more about QR codes and using them effectively in an upcoming blog. Use a fresh, unexpected image and a memorable tag line. You only have seconds to grab the reader’s attention. You’ve probably heard it said a million times, and it’s true, your response rate is only as good as your list. We will delve into list effectiveness in future blogs. Include a follow up on the call to action. Perhaps include an expiration date. This also makes room for a second communication (perhaps an email?). Since we repeated the call to action, repeat the PURL as well. Remind them how to respond to that call to action! Tell us, what are your thoughts on creating the ideal direct mail piece? We’d love to hear your suggestions! USPS | Seeing An Increase In Return To Sender Mail? Seeing An Increase In Return To Sender Mail? A change to the Postal Service’s workforce is likely to mean an increase in mail that will be marked as Undeliverable as Addressed or Return to Sender. Why is this you ask? A shift to using “transitional” carriers is changing the way your mail is cased and delivered. Long time carriers (or career carriers) have a deep knowledge of their routes, meaning they are often able to deliver despite poorly addressed pieces such as misspellings, missing apartment or suite numbers, etc. The USPS delivers approximately 2.2 billion pieces of mail annually that do not have complete, accurate address information. USPS claims that this special handling results in a cost to them of about $160 million each year. USPS returned, forwarded or destroyed almost 7 billion UAA (Undeliverable as Addressed) mail at a cost of more than $1.2 billion. What can you as a mailer do to help reduce the amount of UAA mail and make sure your mail reaches the recipient in the most expedient way? Make use of all the tools available for creating and maintaining a superior database. As a pre-printing option, use a National Change of Address process. Your list is basically bounced against the USPS database and any addresses where a Change of Address was filed with USPS are updated. You can get a list of these addresses returned to you so you can update your database. Using NCOA as a pre-print process also saves you money on printing, envelopes and postage since you are mailing to better addresses. Post production, consider enrolling in USPS Address Change Service. You will get a report with any updated addresses. Or try Move Comply usually available from your local mail service provider to update pieces with an improved address barcode. Questions about creating and maintaining a clean database, or complying with USPS Move Update regulations? Call one of Strahm’s dedicated Customer Service Representatives. They will be glad to answer any questions. How Secure Is Your Mail? In this day of heightened security awareness, how secure is your mail? Not only the piece of paper in an envelope, but what about your data? Is your data transmitted to your printer in a secure transmission? Do you know that it was securely received and when? Do you know that what you transmitted is what was received? What about the printed piece? Is the print facility secure? Is it video monitored? Is visitor access restricted? Are data servers and processing centers secured and with limited access? Once printed, are steps taken to ensure that there is no “double feeding” of documents into a single envelope? Is there a process to track an individual mail piece from beginning to end? Is there record that all printed pieces are accounted for and inserted to an envelope? What happens once this piece of paper is printed, folded, and inserted? Is your mail retrieved by the USPS? If so, is that USPS truck sealed – meaning only authorized USPS employees may remove that mail from the truck? Just a few questions to ponder – and perhaps to ask of your print and/or mail provider before your next mailing. 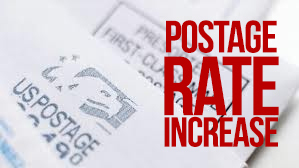 Now that the Postal Service has raised rates again (this is the largest rate hike in the past 11 years), it seems like a good time to review steps you can take to help manage your postage costs. Take advantage of a local mailhouse or presort vendor. Presorting your mail lets you take advantage of reduced postage rates. There are many ways you can work with a vendor; they can manage your data, print your mailpiece and mail it for you or perhaps all you need is a daily pick up of your already prepared mail. Either way, savings are there for you. Keep a clean, healthy database. Make sure all of your addresses are complete, correct and updated. When you receive Undeliverable As Addressed mail back from USPS make sure you update your data accordingly. No sense in mailing people who have moved or are deceased. Dedupe your data. If your data includes multiple contacts with similar sounding titles within a company, can you mail to just one of those people? Are you seeing duplicates such as John Sample and John Q Sample at the same address? Check for duplicates both by name and address. Personalize and target your mailing. Studies have shown that the more personalized and targeted your offer is, the greater response you will receive. Build and manage data such as last purchase, date of last service or purchase, geographic area or household income. The list of ways to segment and create relevant messages/offers is endless. Use multi–channel marketing. Follow up your mailed promotion with email. Try to keep the same look and feel of your mailpiece. Include a link to your website, other marketing page or survey if appropriate. You can use a QR code or pURL on your mailpiece to drive recipients to your website. Postage rate increases are uncomfortable for mailers. The USPS points out that the increases over the past few years have kept pace with inflation. The change is intended to generate $2 billion in annual revenue for the Postal Service. As a reminder, below are the new full pay, retail rates. Technology is changing and getting better all the time. We all know this. We have easier, faster, less expensive options and channels to get our marketing message across. But perhaps we should explore the “Why” and the “What” of using direct mail. It is important to understand your purpose for each campaign. The key objective for most direct mail marketing is to elicit a response from the recipient. This can be in the form of a purchase or action. You need to be clear, and make clear on your mailpiece, the purpose of your marketing campaign. Here are seven key drivers to get your brain going in developing the “Why” of your next marketing campaign. Customer Acquisition. This is basic Prospecting 101. Direct mail is still a great option because it gets directly into your prospects mailbox. According to DMM, 98% of us still check our mailbox every day. Sure, you could purchase a list of email addresses for these prospects, but your impact may be slim. Think of how many unsolicited emails you receive (and quickly delete) every day. 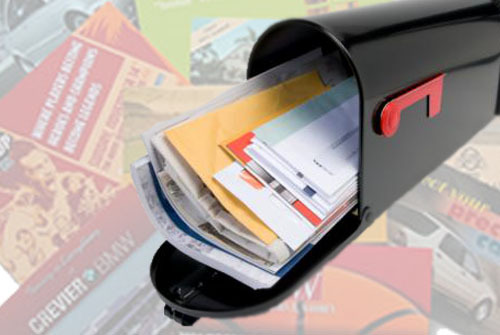 Now think of your mailbox and how many pieces of direct mail you receive. Not only that, but many people keep these mailpieces longer and refer back to them. I know I do. Building Email List. For many businesses, their overall client list is far greater than their email list. 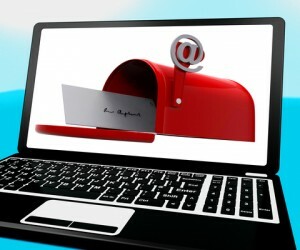 If you need to grow your email list, direct mail can be a fantastic tool. Consider a personalized mailpiece with a nice incentive for signing up. Once you begin an email campaign to your new list, make sure you track response and keep your list clean. Include an Opt Out within the email itself. If a prospect has not agreed to your marketing emails, you should remove him or her from your list. Communication Preference. A study by Epsilon shows that people still prefer direct mail over email in almost every category including financial services, insurance and travel. Ask your customers how they like to be reached and respond accordingly. Tracking customer response rates of direct mail vs. email will also help guide you in communication channel. Don’t risk alienating customers. Multichannel Marketing. Aside from communication preference, why limit yourself to one channel of marketing? Combine a direct mail campaign with a follow up email campaign including the same marketing objective/message. Perhaps include a pURL on your mailpiece and a personalized link in your email. Use QR codes to drive respondents to your website for a special offer. While they are there, ask for their email address. Boom! Now you’ve accomplished driver #2 as well! Migration. Test, test, test and measure, measure, measure. This is all about knowing what works within a campaign. You want to make sure that not only is your message correct and relevant to a particular customer/prospect, but that it gets to them and is read. If they aren’t responding to a mailpiece, are they responding to an email? Tweak your lists as necessary. Lifespan. Back to the issue of deleting unsolicited emails without even a glance! How quick are you to hit that delete button? But a properly crafted message, to the correct target and slated to be in mailboxes within a given date range, is most likely to make it into the home from the mailbox, allowing more potential to become actionable. 5 second email or 5 day direct mail? Differentiator. You have so many options available for direct mail. Think size, shape, feel. Think 3D and create a clever box or other shaped container. Most people can’t resist seeing what’s inside a box. The possibilities are really endless. The USPS will deliver most anything, anywhere for just a matter of postage. Make your mailpiece – and therefore your message – stand out in the mailbox. 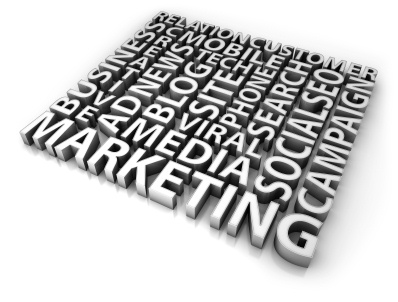 In short, take the time to determine why you are planning a marketing campaign. Make sure your message is relevant to and receivable by the correct person. Whether you choose mail or email, really grab their attention with something that sets you apart from all the other advertisers. How can you increase the number of mailpieces successfully delivered and reduce the number of those pesky return pieces? Return mail, or Undeliverable as Addressed (UAA) is costly for you (think printing and postage) and costly for the USPS to handle as well. Always, always, always run your mail through CASS and NCOA processes prior to printing. What is CASS and why do I need it? CASS stands for Coding Accuracy Support System. The process standardizes address data and certifies that your mailing list meets automation rate specs and USPS presort discounts. Note that this is only improving your address by confirming the carrier route, five-digit zip code, zip +4 code, and delivery point barcode. Name-related fields are not taken into consideration during CASS processing. We let our customers drive what happens if an address fails CASS certification. We receive a report back of any UAA addresses and can either suppress them from the mailing, mail to that address knowing that it will result in UAA mail (some clients must mail to address as given for legal reasons), or return these addresses to client for research/updating as necessary. National Change of Address (NCOA) meets USPS mandated Move Update requirements by bouncing your mailing list against an updated USPS database. The USPS database contains any moves where a Change of Address has been submitted. In 48 months the USPS records more than 150 million permanent address changes filed by postal customers. 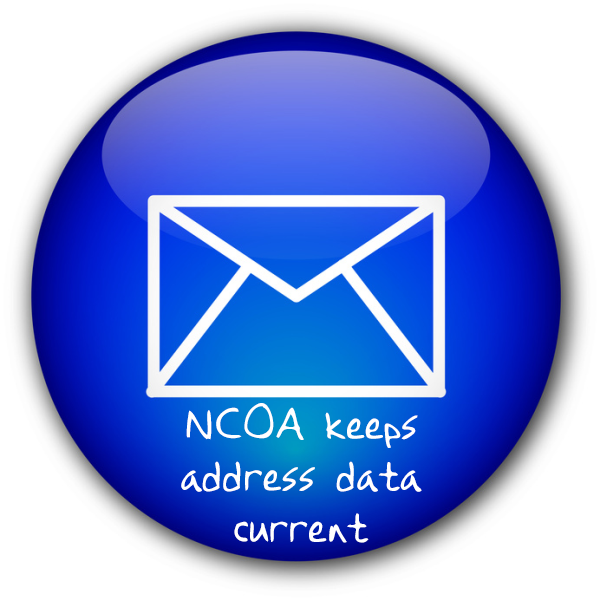 In NCOA processing, both the name and address are compared in the database. Strahm receives a report back when a record is identified as having a change of address. This allows our clients the opportunity to update their own database with the new address information. It also prevents mailing to an old address resulting in UAA mail returns. Keep in mind that you will still receive some amount of UAA mail even after NCOA processing. Not all movers submit a Change of Address to the Postal Service. Sometimes the CoA submitted to the Postal Service is not an exact match to the name in your database (John A. Smith on the CoA, John Smith in your data, for example). To recap, you should always use CASS certification part of a process to qualify for presort postage discounts. Use of NCOA will reduce printing/mailing/handling costs associated with mailing to address which would result in UAA mail. While you will probably not ever eliminate all Undeliverable as Addressed mail, managing the amount will reap rewards! Does your call center experience peaks in volume just after your statements/invoices are mailed? Are you looking for ways to better serve your customers while managing resources and staffing in your call center? 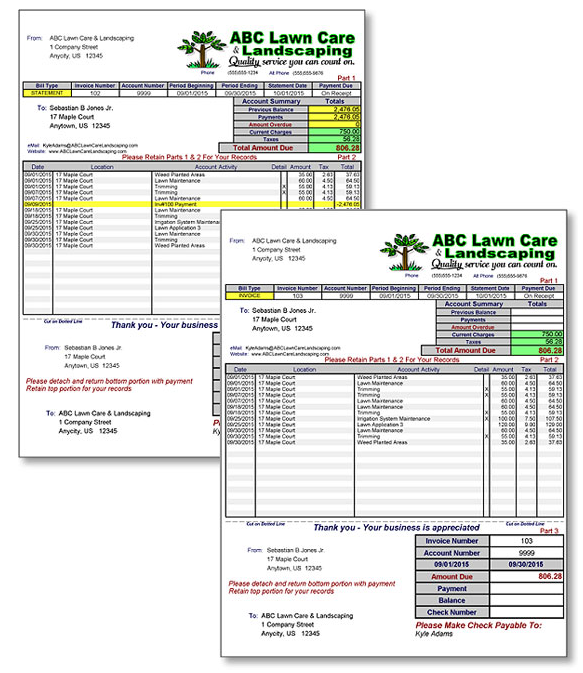 We recently completed an extensive overhaul for a client’s utility statements. We introduced highlight color, graphs and icons to simplify the layout and make navigation of the statement user friendly. The page count for an average statement was reduced from 6 pages down to 4 pages which provided another level of cost savings to the client. During initial meetings with the client stakeholders, it was determined that nearly 20% of their call center volume stemmed from customers confused about their statement. They were increasing staff and/or allowing for staff overtime for the period following mailing of statements to handle the increase in call volume and associated time spent with each caller. How could a little color benefit your operations? Looking for ways to control your mailing budget? If so, take a hard look at your Undeliverable As Addressed (UAA) mail. The USPS recently shared data from a 2010 report studying UAA mail. Prior to release of this report, the most recent data was from a 2004 study. According to the study, the total volume of Undeliverable As Addressed mail dropped from 9.3 billion pieces (4.71 percent of total mail volume) in FY 1998 to 6.9 billion pieces (4.11 percent of total mail volume) in FY 2010. Still falling short of former Postmaster General Jack Potter’s goal of a 50% reduction by 2010, this is still a notable decrease. How are you impacted? Think of all the time and money spent designing, printing, preparing and applying postage to your mail. The mail returned to you as UAA is money down the drain. You won’t see a return on investment, or a bill paid, on mail that never made it to the designated recipient. Historically, UAA mail runs in the range of 4 percent to 5 percent of total mail volume, and the percentages vary by class of mail. The volumes of UAA mail that the USPS forwards or treats as waste both saw declines, but the amount of UAA mail that the USPS returned to sender increased. The USPS handles UAA mail in three ways: it is forwarded to the new address, it is disposed of as waste, or it is returned to the sender. Although the Move Update requirements implemented in 2008 have had a direct impact on the reduction of UAA mail, the increase in the volume of mailpieces returned to sender is of note. These are the most costly UAA mail for the USPS to process at an average cost of 51.3 cents per piece. All of this undeliverable mail costs both the USPS the mailers. Charles Hunt, the USPS program manager for licensing and move update support, told the Mailer’s Technical Advisory Committee (MTAC) that all postage rates could drop by one cent each if the UAA problem were taken out of the equation. What can you do to decrease the amount of Undeliverable As Addressed mail you receive? Become vigilant about your list hygiene. Maintain suppression lists of those customers who have requested not to receive mailings from your organizations. Frequently update your list to remove any UAA addresses returned to you. Work with your mail service provider to design mailpieces for postal automation compatibility. There are so many resources out there for address cleansing and updating. The benefit is to you in doing your part; it not only reduces waste, but helps to ensure that your message is indeed reaching the target. You are currently browsing the archives for the Database Management category.